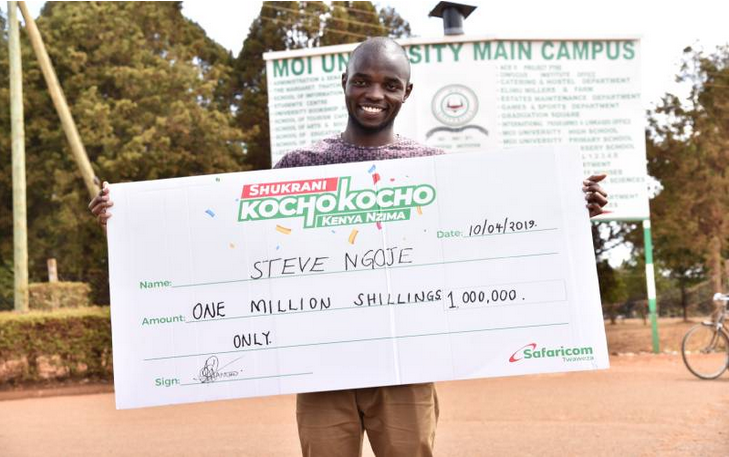 Steve Ngoje, an engineering student at Moi University, is the latest winner of Sh1 million in the ongoing Safaricom Shukrani Kochokocho Kenya Nzima promotion. Close to four million customers across the country have been awarded with weekly cash and daily airtime prizes worth over Sh200 million shillings as the promotion enters its seventh week. WTF Is Khaligraph Jones Wearing?? !